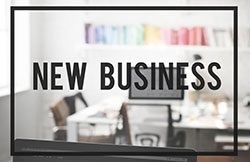 The decision to launch a new business can be one of the most important of your life. Why take the risk of not involving an experienced professionals? The choices you make as you launch your organization can have serious financial implications for years to come. Planning for your business finances and selecting the most beneficial structure can help you save money from the start, and the team at LMR & Associates is ready to work with you to achieve your goals. From creation to start up to operations, our professionals will guide you towards the best decisions for your business. Whether choosing your structure or looking for ways to minimize your tax obligation, we’ll partner with you to meet the unique needs of your business and to help you earn higher profits. As part of our incorporation services, the professionals at LMR & Associates can assist you with associated business advisory services such as development of a comprehensive business plan, and use of accounting software that will help keep your business financially organized from the beginning and allow you to focus on the growth of your company. If you’re considering launching a new business, don’t make the mistake of doing it alone. Give us a call at (734) 266-8120 and let us partner with you to pursue your dreams.